ML: I’ve wanted to be a filmmaker for as long as I can remember. I always wanted to tell stories, and at a certain age I realized that just getting out the camera and shooting stuff was the easiest way to do that. Q: What are we going to see at the Film Novella & Feature Fest? Has it screened elsewhere and what are your plans for it? ML: Binge is a short film that we made over the course of last summer. While working on it we would tend to watch a lot of David Lynch movies and The Twilight Zone, so those inspirations sort’ve came out in this short film. It was filmed in New York, and we haven’t screened it anywhere yet, given that a lot of our time has been spent moving to Denver. We’ve only been here in Denver for the last month actually, so its exciting to already be getting into festivals around here. ML: Not sure if this would be considered weird but we tend to work with a very small crew when it comes to our movies. There are four people in this movie, and these four people are the only ones who worked on the film. We all act, and some of us also create the score while others edit and others write, but it’s all just us. ML: To see more of our work you can go to our Youtube channel: Hyadaga Films. Here you can see the music videos, films, and documentaries that we’ve created over the course of the last four years or so. ML: While we haven’t gotten a chance to experience The Emerging Filmmakers Project yet, we’re excited to get involved. We see this is as a great opportunity to get our work seen and to hopefully collaborate with other filmmakers and actors! 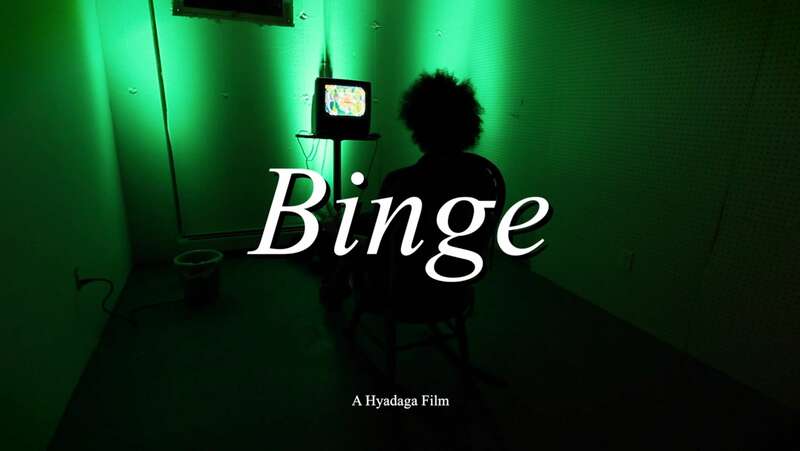 Binge will screen November 20th at 6:00 p.m. during 2016 Film Novella & Feature Fest at The Bug Theatre. Filmmaking is magic that happens when a group of creative people come together under one vision and manifests an entire universe into being. That universe, birthed out of just an idea in someone’s head, now on screen causing laughter, happiness, excitement, sorrow, joy, and hope is simply amazing. My desire is that my stories, wrapped up in THE STORY, will create an opportunity for that magnificent moment when a person’s mind and heart are touched in such a way that the great Author is found. To that end I will create. 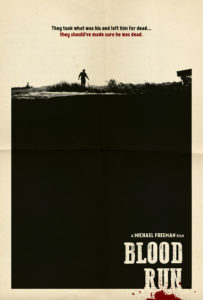 MF: Blood Run is a post apocalyptic sci-fi western filled with action, adventure and undying devotion. I really think everyone will really like it. It has screen at two other fest, Jerome International Film Fest and Apocalypse Later Film Fest. The team and I would love to see it in more fest but our hearts and dreams are leaning more towards getting this into a feature formate. Telling this story on a grander scale, getting to know the characters more and upping the adventure gets us madly excited. MF: Currently working on a sci fi/western pilot to pitch, converting BR into a feature, and a short sci noir crime short…I like sci fi. MF: I am so excited to be a part of this community and love what the EFP is doing. To be around fellow story tellers and creatives is invaluable and so encouraging. 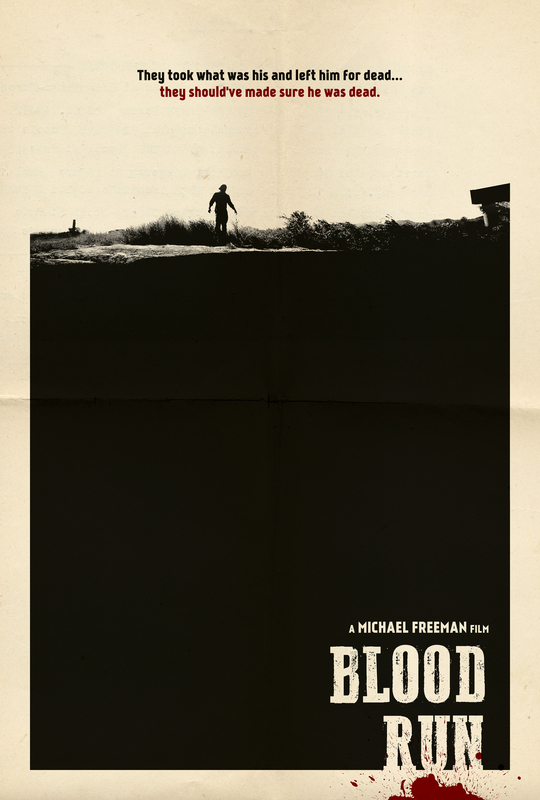 Blood Run will screen November 20th at 2:00 p.m. during 2016 Film Novella & Feature Fest at The Bug Theatre. SL: From an early age I was impressed with the medium of film to convey a rich variety of experiences to the viewer. The ability to transport the viewer to a different time and space or just show them something different has always been super fun for me. I just love everything about creating an image and the power of transporting an audience is one I’ve been addicted to for the past 13 years. SL: The film I entered [Dream Big: A Big Gigantic Story] is a short documentary that was commissioned by the band Big Gigantic who is featured in it. The director of the project was Steve Conry with myself producing and together we shot and edited the film. The band was going to be headlining for two nights at Red Rocks that summer and we wanted to document their experience of putting together the show, explore the history of the group and how they wanted to give back to their community and fans. It has screened online and was released by Billboard Music, and my hope is that a young musician will see it and be inspired to pursue their own musical career. SL: I’m currently focusing most of my energy on 360 video and immersive VR storytelling. I think there are a lot of possibilities with this new technology and I’m excited to be on the forefront of developing new techniques and methods for capturing and telling stories with it. Outside of that I’m continuing to work in traditional filmmaking and have been producing several documentaries, commercials and a feature film. SL: With my films I’m always trying to find a new way to express a certain feeling or idea and I’ve found that poetry has a lot in common with filmmaking. The way poets can use emptiness and word juxtaposition, for me really informs how a filmmaker can use less to tell more. So I’ve been trying to incorporate those sensibilities into the work I create, which is maybe a different approach then some. SL: I think organizations like EFP are critical for our industry and I’m excited to help contribute a piece to screen here. I’d recommend to check out the variety of programs and talks that EFP promotes throughout the year to learn more about the industry and network with your fellow Colorado filmmakers. Dream Big: A Big Gigantic Story will screen November 20th at 2:00 p.m. during 2016 Film Novella & Feature Fest at The Bug Theatre. AO: My first attempt at state university failed when i found myself (more often than not) skipping class to write novels. About a year later i took a film class at a community college, and on day 1 i knew i had discovered my true calling. I just want to make films that people enjoy. 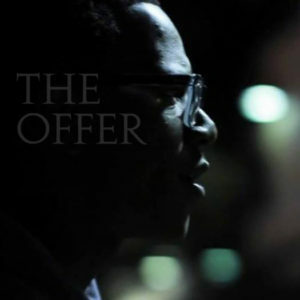 AO: The Offer was my 2015 senior thesis film at CU Denver and is making its festival premiere here at the EFP. I’d like to continue submitting it around until everyone gets tired of it already. AO: Although i haven’t directed anything of my own this year, i have been writing a lot for other directors. The experience has simultaneously been uncomfortable and freeing. Like how i’d imagine sending one’s kids off to college might feel. AO: I don’t have a website or anything, but I’ve got some other films and silly stuff on youtube, if you like, under the channel ThuhManeMan15. Detective Meredith Hitler, Secret Private Investigator is a fun and popular one. AO: Superfluous thank yous to the EFP for selecting my film, as well as to the busy, busy Arthur Martinez for convincing me to submit. The Offer will screen November 20th at 6:00 p.m. during 2016 Film Novella & Feature Fest at The Bug Theatre. BOT: I’ve been doing this since before I can remember. According to my kindergarten teachers, I would direct kids in reenactments of Star Trek on the playground, and I’d make little movies on whiteboards to bring in to show and tell. It kind of just grew from there. 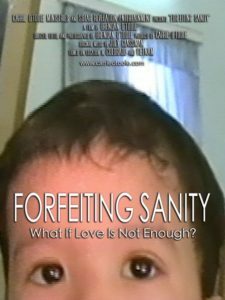 BOT: You’re going to see “Forfeiting Sanity,” which is a documentary about three families who adopted children from Vietnam, from the same orphanage, and all of them lived in Colorado. 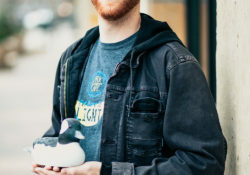 Through the struggles brought on by what’s known as Reactive Attachment Disorder, none of the children remain with the families they were originally adopted into. It has already premiered, and our plan for it isn’t big or grand. It’s found its legs as a tool that other families use to show the people around them what they’re going through in the midst of a difficult adoption. COT: At the Film Festival, we will be showing “Forfeiting Sanity,” the story of three families who adopted children using the same adoption agency, through the same Vietnamese orphanage, in the same room. All three children came to live in Colorado. Describing very similar struggles with Reactive Attachment Disorder, and behavior stemming from their children’s traumatic early years, the three families share their difficult, decade-long journeys through parenting, and the horrendous struggle about what to do to help their children heal, while holding their families together. BOT: I am currently working on getting a feature film financed for production next year. It’s called Artemis One, and it’s about a girl who’s created a Warp Drive in her backyard. BOT: I don’t know if this is weird or not, but I enjoy trying to eke out every last drop of potential I can from whatever resources I’m working with. COT: People can find Carrie at www.carrietooole.com. 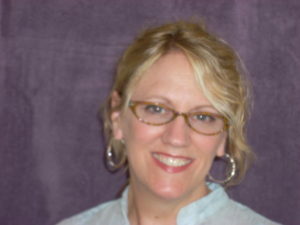 She works as a Life Coach, helping families who have been traumatized through parenting traumatized children. She is a sought after speaker, and author of Relinquished: When Love Means Letting Go. BOT: It seems like a great tool for local filmmakers. Another film I worked on as a 1st AC has been shown you EFP, and I hope that others can take advantage of it on their way to becoming better filmmakers. Forfeiting Sanity will screen November 20th at 4:00 p.m. during 2016 Film Novella & Feature Fest at The Bug Theatre. KH: I became a filmmaker because I love the creative freedom of video. I can venture out alone with my camera and shoot stock footage of whatever catches my eye, or put together a cast of co-creatives to work on an ensemble piece – so many possibilites. 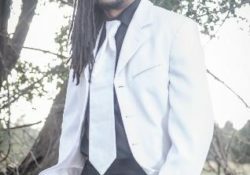 KH: Lenny C celebrates the life and work of Denver poetry legend and activist Lenny Chernilla, who passed away in 2015, leaving behind a unique legacy of fiery protest and celebration of life, in the Denver poetry scene. It was completed in August of 2016 and has not yet screened in any other venues. I am in the process of entering the piece into national film festivals and hope to garner as many screenings as I can, to share Lenny’s work and message. KH: I just finished a stage/film hybrid production at the Bug – Night of the Living Dead…Urban Legends. I am also in pre-production for a mockumentareality show about the magic shop I co-own with my boyfriend, and a documentary about good deeds. KH: My first projects were all horror and sci-fi films and shorts, and now I do documentaries – kind of a weird segue. I only have one kidney. KH: EFP is the premiere platform for screening original work in Denver, and we’re so lucky to have this organization with it’s screening and networking opportunities, classes and festivals. 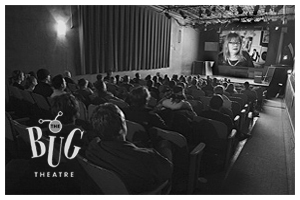 Lenny C Rocks the Mic will screen November 20th at 8:00 p.m. during 2016 Film Novella & Feature Fest at The Bug Theatre. JS: Because I love to watch & learn magic tricks & illusions, & I think of movies as an elaborate magic show – you know what you’re seeing isn’t real but you enjoy watching the magician make you believe it. I enjoy watching a show and wondering – how’d they do that?! Has it screened elsewhere and what are your plans for it? Only at CFS where I’m enrolled in the certificate program. JS: Currently wrapped up production and am in post on a dramedy short titled LADDERS about an old man who breaks his leg & has to rely on his readily-distracted grandson; what he has to teach about climbing the corporate ladder and what he still needs to learn. JS: I’m attempting to start a new career in my late 40s. I dreamed of being a filmmaker my whole life and finally couldn’t stand just dreaming about it any longer. JS: What an awesome opportunity the EFP provides to new filmmakers! Grateful for your vision! “NUUURRRSE!! !” screens at the November 2016 Emerging Filmmakers Project. GT: I was driven by the idea of creating anything out of nothing, a story that was never told and the endless possibilities! Bottom line, I love telling stories through visuals and I love the technical aspect of the craft. Filmmaking also lets you collaborate with wonderful people and of course I love sharing what we create. GT: “The River is Moving” is a short film commissioned by Denver Singer/Songwriter John Common for the release of his EP “Two Rivers”. It was an official selection at 5 film festivals and it also screened in Japan as part of the Woven Media Fest. Right now, we are working on other projects. GT: We are finishing a 3 year long documentary about the Colorado Chambers Restoration Project, signed a contract with the Town of Parker Parks & Rec for a yearlong project, we are also in the process of translating a documentary we shot in Mexico and are in Pre-production for a music video for the band Teacup Gorilla. GT: The fact that we work out of a reclaimed horse barn and stable. Every once in a while I swear I hear a neigh, snort or a gallop. GT: This is not just a night to show your movies. It’s also an opportunity to learn more about our craft, to connect with fellow filmmakers/actors/etc. We love the EFP. “The River is Moving” will be screened at the November 2016 Emerging Filmmaker’s Project! KK: I became a filmmaker because I don't think I had any choice in the matter. From as early as I can remember I was immersed in the art of filmmaking.